Spring time reminds us of the bold, colorful designs we like to surround ourselves with for the approaching Summer. To celebrate the most flower-filled season of the year we've put together a few ideas to inspire and acquire. These functional and aesthetically pleasing products and tips for living are sure to brighten your home and outdoor patio space this spring in their wide array of colors. Warmer weather calls for a pool party! Our friends at Mylle have an easy urban solution. 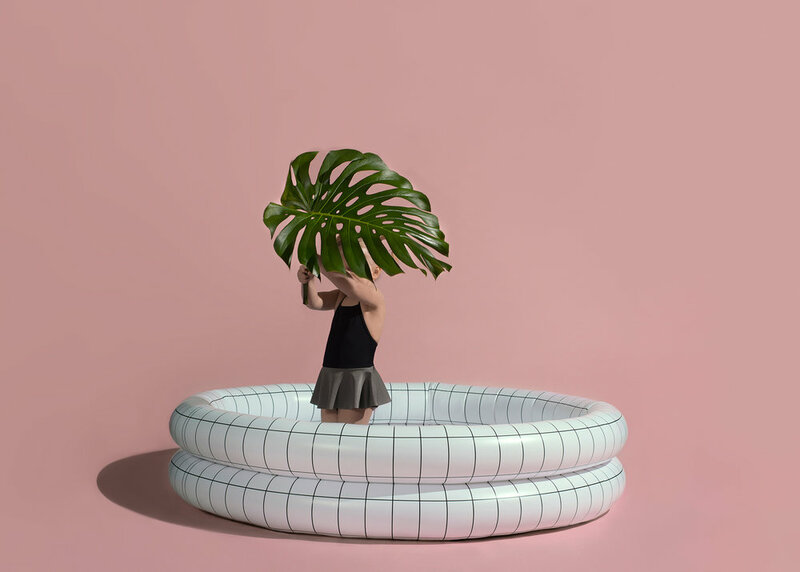 The Original inflatable pool by Mylle may look like it's for kids. But it's perfect for adults living with a small outdoor space. The neutral tones of the pool work perfectly placed next to vibrant color. So grab a drink, hop in, and enjoy the this pool from your yard. You'll want to entertain guests hanging out on your outdoor patio. 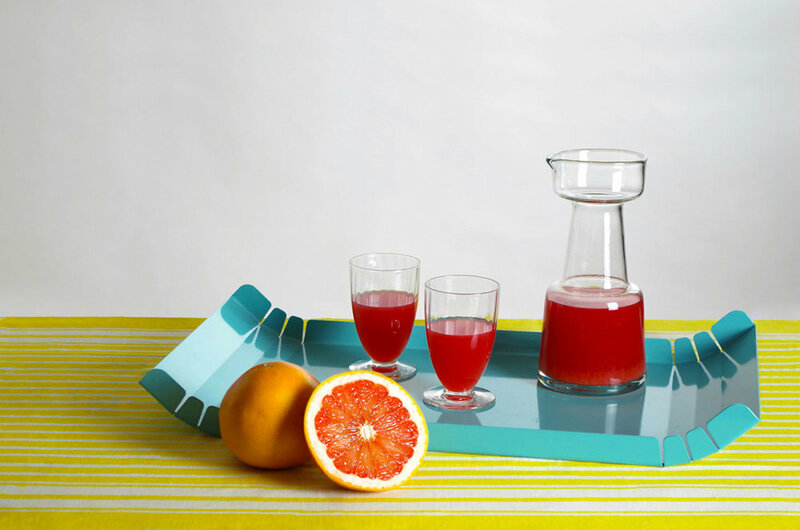 The Lasa tray by internoitaliano will bring a fun and colorful approach to serving food and drinks. The tray is made out of sleek, painted metal, and comes in a wide variety of spring colors, including yellow, red, and light blue. You'll want to serve some drinks on that Lasa tray, right? 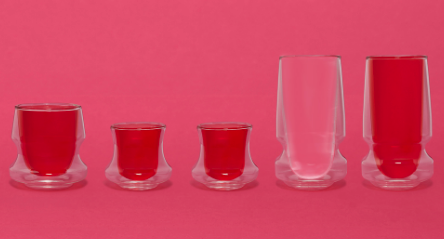 Stay hydrated this spring with double-walled Ciclone drinking glasseware from notNeutral. They are engineered from the inside out and come in three different forms. This vintage photo screams spring time. 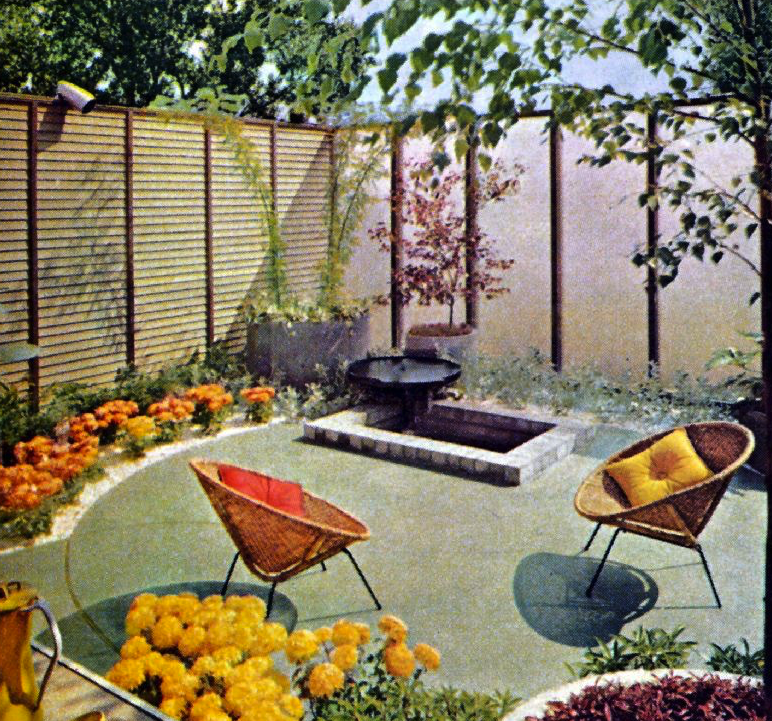 The outdoor patio showcases vibrant yellow and orange flowers that match the pillows. Aesthetically pleasing outdoor set ups like this inspired the lifestyle products featured in this post. Adding textiles to your patio is a great way to bring a pop of color to your outdoor space. The Table Tennis 1:1 Rug by Simon Key Bertman will brighten up your patio floor with a taste of light green, perfect for spring. As the sun goes down, you'll want to light up your outdoor patio space. These Agadir Paola Lenti Floor/Table Lamps are perfect to display around your pool and outdoor seating area. They are designed for six hours of autonomy and come in a wide variety of colors, including bright shades ideal for spring. Kick back and relax with this Triangle Throw Pillow from Bendgoods. This funky accessory comes in a wide variety of colors and is sure to brighten up your space. 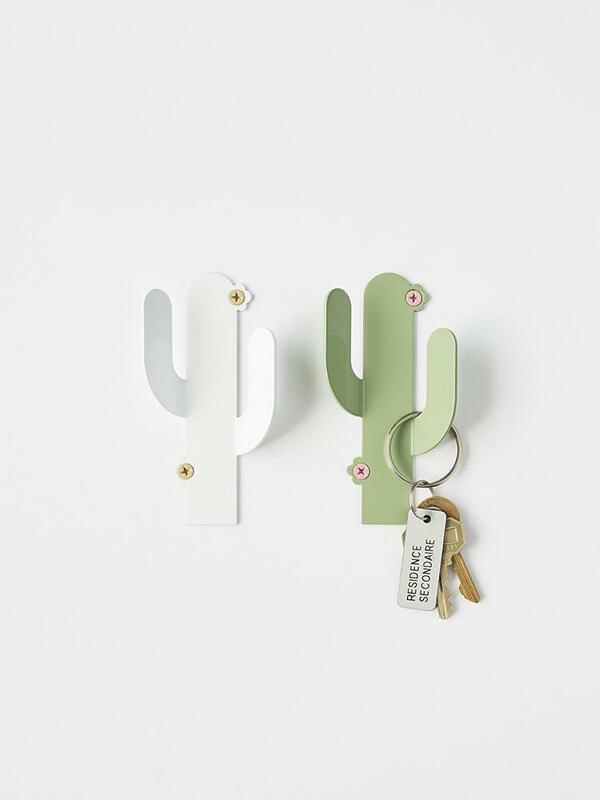 Check out these Cactus Hooks by Thing X Sylvester. They are a fun way to add accents to your wall with a natural flare! They come in two colors, white and green, and are perfect for hanging keys. This vintage dining and living room encompasses a large amount of vibrant colors. The room design is exciting, from the red chairs to the yellow carpet. Shift's Beekman Bird Feeder is a contemporary play on the classic pitched birdfeeder. This modern birdhouse comes in two colors, bright yellow and white. Display this lifestyle object for spring. Pair it with our Black Oil Sunflower seed blend to attract diverse birds to your yard. Contact us to get a bottle! This Memphis style Step Lamp by The Granite can be used as a table lamp or placed on a wall. The exposed bulb is a unique touch and the violet color is perfect for spring. Smell up your home this spring with the Circa Brass Incense Gift Set by TRNK. The elegantly designed brass burner is a great addition to place on your coffee table. 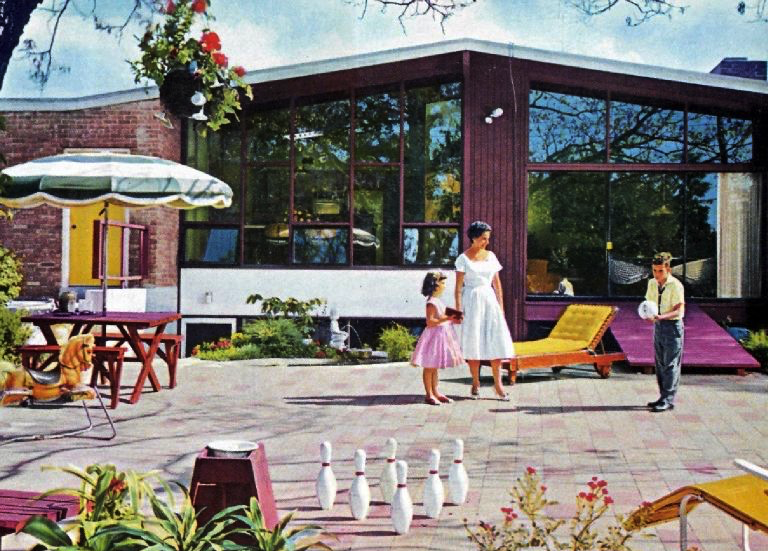 This vintage photo shows human lifestyle surrounded by design. The bright colors, flowers, and kids playing reminds us of spring.